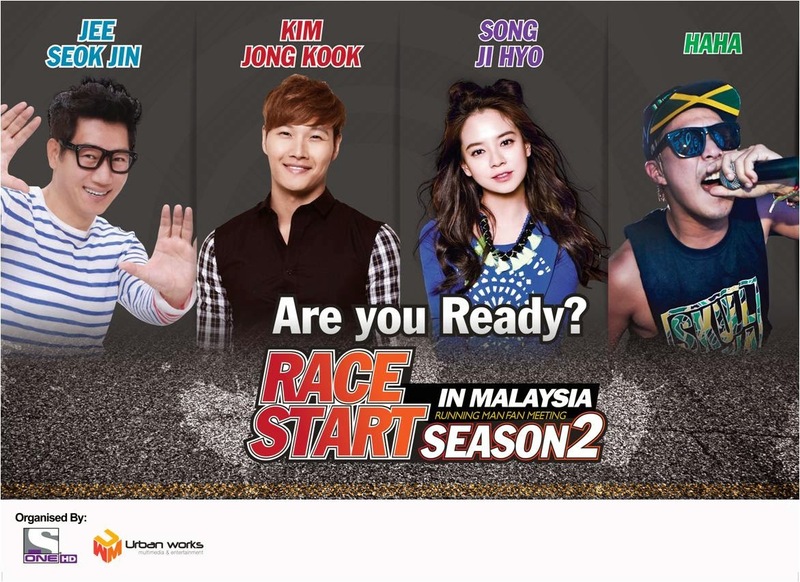 The tickets for ‘Race Start Season 2 in Malaysia’ are priced at RM729 (VIP), RM499 (CAT 1), RM429 (CAT 2), RM299 (CAT 3) and RM199 (CAT 4). Tickets are available for sale at TicketCharge (www.ticketcharge.com / 03-9222 8111) from 29 August 2014, Friday at 10am. Fans from across all ticket categories will stand a chance to get on stage to interact with the stars. All VIP (RM729) ticket holders will receive an exclusive autograph pass to meet the stars up close and personal and get an autograph from one of the 4 Running man members participating in this year`s fan meeting. More details on the autograph session will be made available nearer to the date of event. 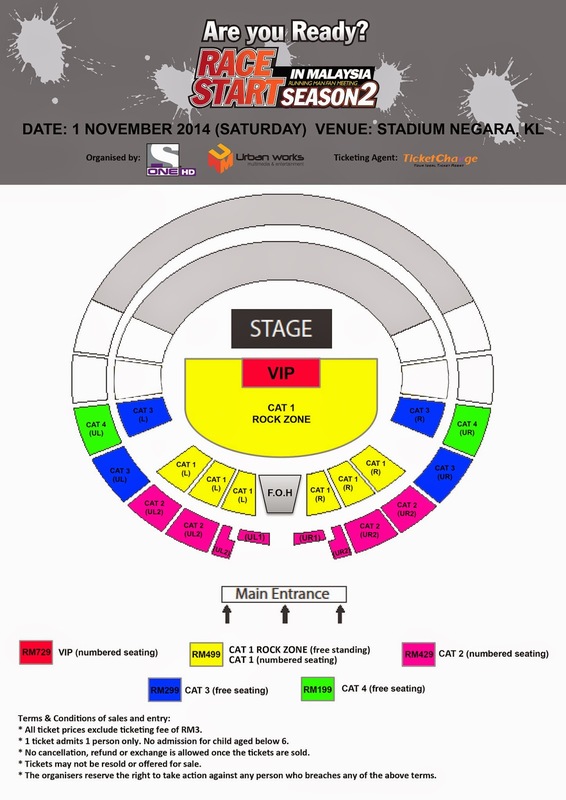 The fan meeting will take place at Stadium Negara in Kuala Lumpur on 1 November 2014, Saturday, and is proudly presented by ONE HD, with Supporting Sponsor Red Bull - No. 1 Energy Drink in Malaysia. For the latest updates on ‘Race Start Season 2 in Malaysia ’, stay tuned to ONE HD on Astro Ch 393; log on to the ONE website (www.onetvasia.com); or follow the ONE Facebook page (www.facebook.com/ONETVASIA) and Twitter account www.twitter.com/ONETVASIA).